were allowed to extend the sphere of his activities to Qatar. 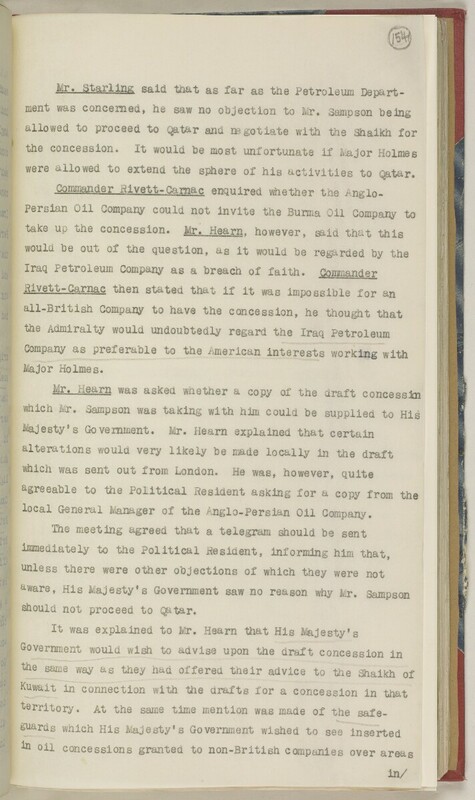 local General Manager of the Anglo-Persian Oil Company. should not proceed to Qatar.